You pull into your driveway, see smoke coming from your house and realize your two young children are asleep inside. You immediately jump into action, rush into the house and save your children. The amygdala is the almond-sized part of your brain responsible for triggering your “fight or flight” mode, which shuts off thinking to make a lightning-quick decision…or rather, an emotional reaction. When your children are at risk, you instantly react. You’re at the mall on a busy holiday. You’ve been driving around the parking lot for 20 minutes when you finally spot someone leaving. You pull up and wait patiently as they back out. Suddenly, some jerk swings into your aisle, cuts in front of you and steals your parking space. You pull up and start honking and yelling about that being your space. You may even throw some profanities at the driver as he gets out of his car, ignoring you, and heads into the mall. Even though there was no actual danger in the mall parking lot, your brain reacted to the situation as if there was. 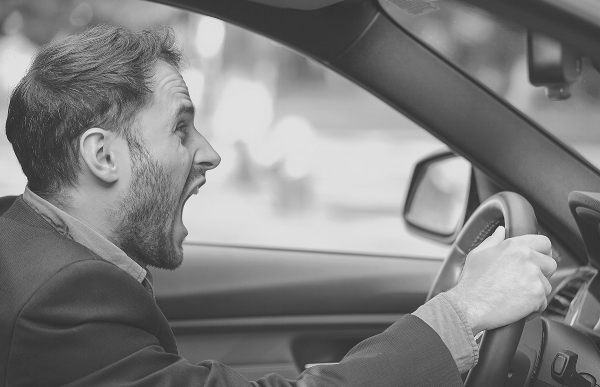 Your rage at the rude, space-stealing driver was an “amygdala hijack.” If the situation escalated — into a physical altercation or other attack — you would have created an actual threat by emotionally reacting to the annoying, but not life-threatening, parking space theft. Don’t let your amygdala kick in when it shouldn’t. When you get an email that sets you off or your spouse says something to you at just the wrong time, stop before reacting and recognize that this is not a life-threatening situation. Then, don’t react as if it is — otherwise you could cause things to become much worse. “Fight or flight” (the amygdala hijack) is the lowest, most non-thinking level of decision making. It reflects our basic animal instincts and stops you from rational thinking. Road rage and most political discussions today operate at this level. Let your amygdala do its job when you’re dealing with a true emergency. Don’t create a crisis by emotionally reacting to a situation you could handle better with less emotion and more thought.